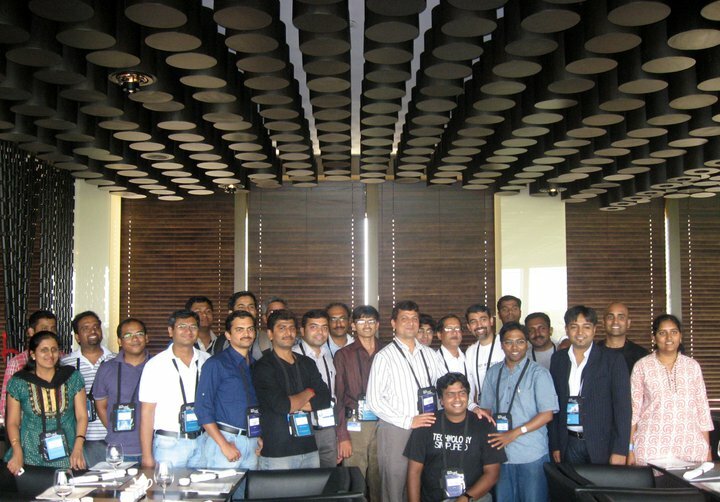 Day2 at Teched India #techedin is all about Azure, IE9, Networking and also some fun. As I missed the key note at teched-day1 due to my flight delay, I was punctual and on time, for the key note on Day2. 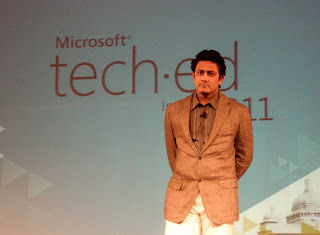 Day 2 keynote was by Brian Hall General Manager, DPE, Microsoft India. Shown Cool demos of IE9 compared to other browsers. The following are the points mentioned in Key note. • It is fast, clean, trusted, more secured, and interoperable & supports HTML5, CSS3. • Layout is optimized based on feedback; Back button is larger, user friendly, less number of pixels at the top and more space to work. • Jump lists are integrated to IE9. We have also seen the demos from snapdeal.com, as it is developed in html5, CSS3 and jQuery gives user friendly experience. “People do not have time to wait. As the technology is updating, people are looking for instant actions. An example for such site is www.photovault.in by Dinesh Kumble. It has the ability to take pictures at the time it is taken the people will upload to the site immediately. “ Demos on this in IE9, jQuery, CSS3 and HTML5 are shown. Audience couldn’t control to clap the hands for the amazing UI, stunning look and feel, faster performance in IE9. IE9 statistics are 2.3 Million Downloads in 24 hours after the Beta release, and out of this 85% are new users. We can develop amazing applications with Rich graphics using IE9, We can feel that right from the beginning to have that. The basic question that comes is Why Microsoft do not support XP? Why not XP? Is it a strategy to make people to forcibly migrate to XP? The simple answer to this question is – If you want fastest browser in the world you should have the engine that supports it. Windows XP is 10 years old OS, and the old engine do not support hardware acceleration as Windows 7 does. So ultimately if IE9 runs in XP all our applications will be very slow which we never like it. That is the reason they do not want to support IE in XP. But still the community feels that there should be some support for the developers in IE9, to write our own plug-ins and customization integrating to face-book. 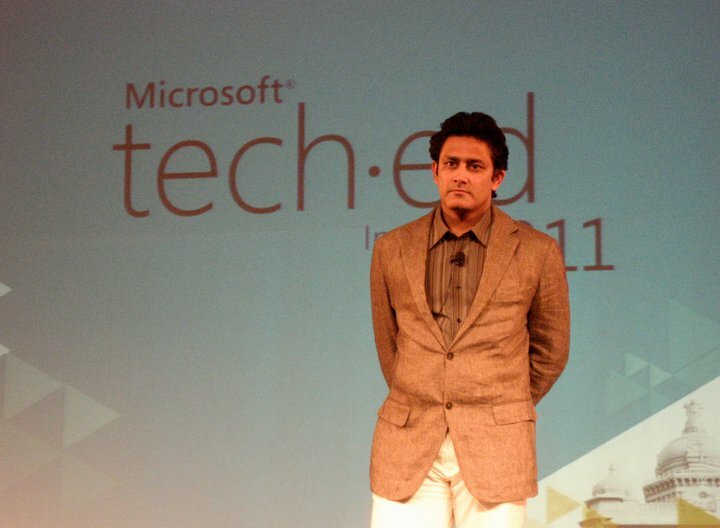 Soon after the IE9 key note we had key note from Bharat Shyam , GM Windows Azure , MS.
2. Pay per what you use. One of the things I really liked in this tech-Ed is MVP Round tables with product team and Big Heads of MS, where we can directly talk to them and ask for what we really require, give feedback, get solution for complex real world issues. I feel proud to me invited for that. 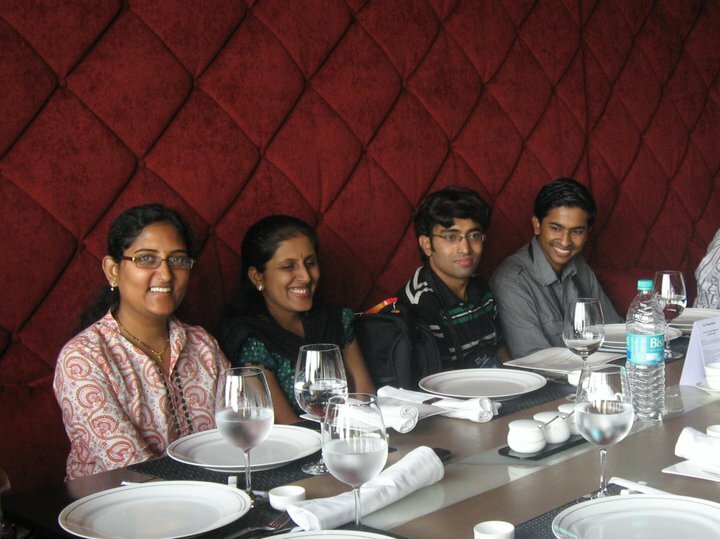 Thanks a lot to Abhishek(s) for making this possible. We had productive round table with Brian Hall and Bharat Shyam, Some of them are under NDA, so we are not supposed to share blog or tweet until they get announced to public. But I am pretty much sure that Windows Azure soon going to become a big hit for MS. Also attened a chalk talk on women in Technology exclusively for Lady Professionals who are leaders in the technology. It was a Very productive discussion on how to handle team especially the persons with male egos. 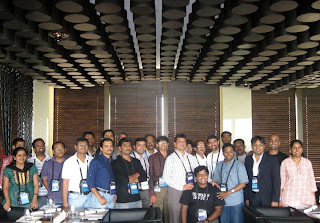 After that I attended Windows Azure Sessions after the round tables. It was World Cup Quarter Finals, India Plays against Australia. Who want to miss that match, we were all the time clicking the laptops for the score. People left soon after the sessions due to the mini- final match. Hima Vejella with Sanjay Shetty, Microsoft Regional Director. Day 2 ends by the party from INETA, GITCA and PASS. We were given some cool T-Shirts from INETA for the UG Leads. Thanks to Sanjay for that. We just watched match in the big screen in the Hotel during Dinner. What a match!!! Allz..Well. That’s all about my Day2. Those who didn’t attend seem that you missed the event. Is it not? Day 3 - Cricket in Tech-Ed? Surprising!!? Inspiring speech by Anil Kumble.